Guide customers through the insurance plan selection process with a human intelligent virtual assistant. Interested in expanding their retail insurance business, Highmark was looking for a way to help potential customers select the appropriate insurance plan while keeping acquisition costs low. We created an interactive human avatar to guide customers through the insurance plan selection process. 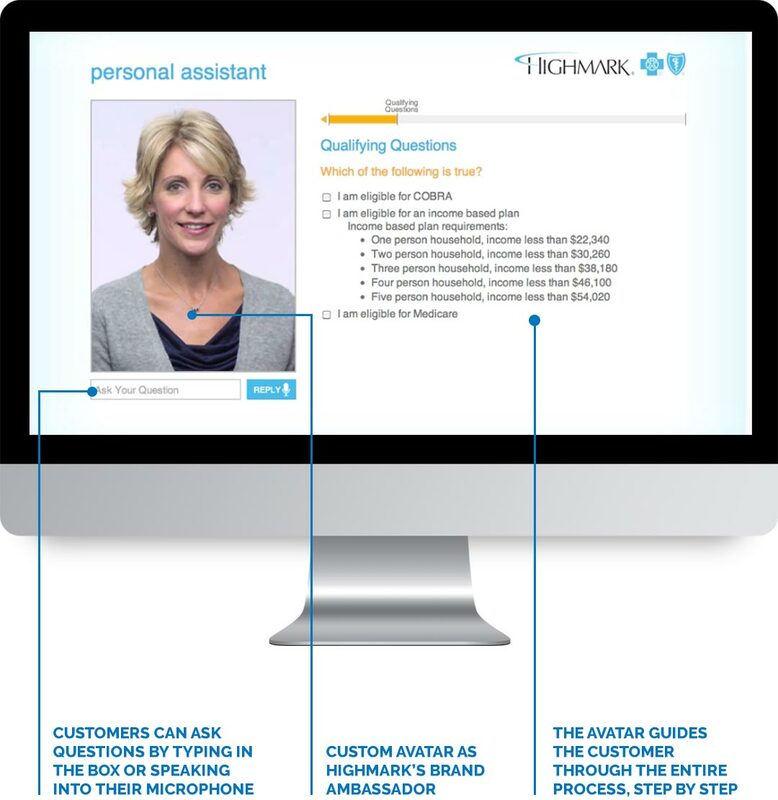 The avatar walked each customer through a series of questions to determine which plans were right for them according to the integrated sales algorithm from Highmark. At the end, users had a choice to apply for one of the suggested plans, or have information mailed to them. Nearly 60% of users who engaged with the avatar completed the process through to pricing of plans. Over 30% of users who began the process applied for insurance coverage. Over 20% of users who began the process asked to have more information mailed to them. In total, the avatar reduced acquisition costs by 65%.